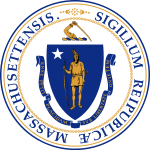 A parent in Massachusetts can file for non-compliance of another parent in providing child support. With the online platform, it is easy as you can do it regardless of where you are. It just takes that you understand the agreement and when the other parent is supposed to provide support. If possible, you can communicate with the parent to find out the nature of the problem. If it is non-compliance without a good reason, then you can file the complaint. If it gets to a point where you have to file a complaint against the non-payment of child support as agreed, then you need to know how to go about it. You need to fill a form where you will send a request to the child support offices in Massachusetts to help you out with your case. Step 2: Read the opening statements of the form and understand what is required of you. Step 3: Fill in the form with the details required. Step 4: Sign the form.